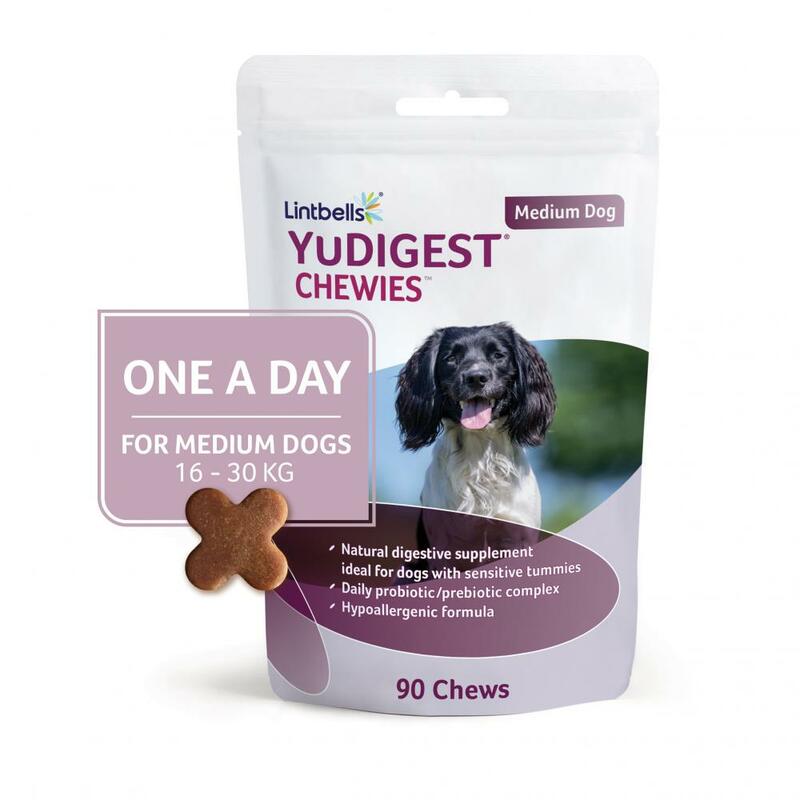 One a day - YuDIGEST Chewies are simple, tasty and easy to give. You only have to feed your dog a Chewie once a day, at whatever time you choose. How do YuDIGEST Chewies work? 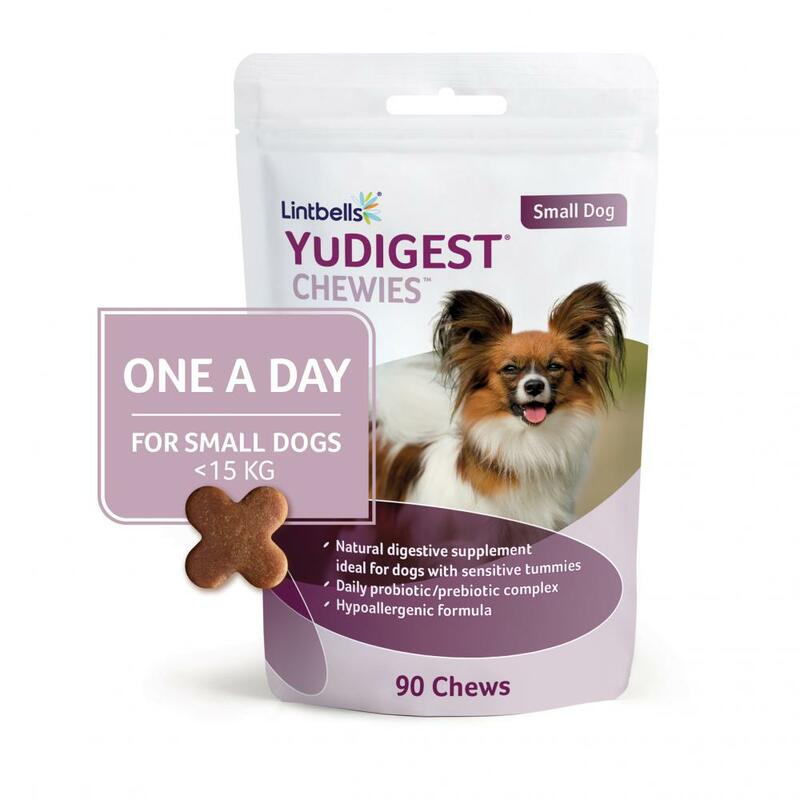 YuDIGEST Chewies are packed with the finest quality active ingredients to help keep your pet’s tummy in tip-top shape. The unique BioActiv supplements bolster the natural population of bacteria in your pet’s digestive system. They compete with ‘bad’ bacteria for nutrients and block points where the pathogens try to attach. Meanwhile, prebiotics – a special type of carbohydrate – benefit your pet by supporting ‘good’ bacteria. 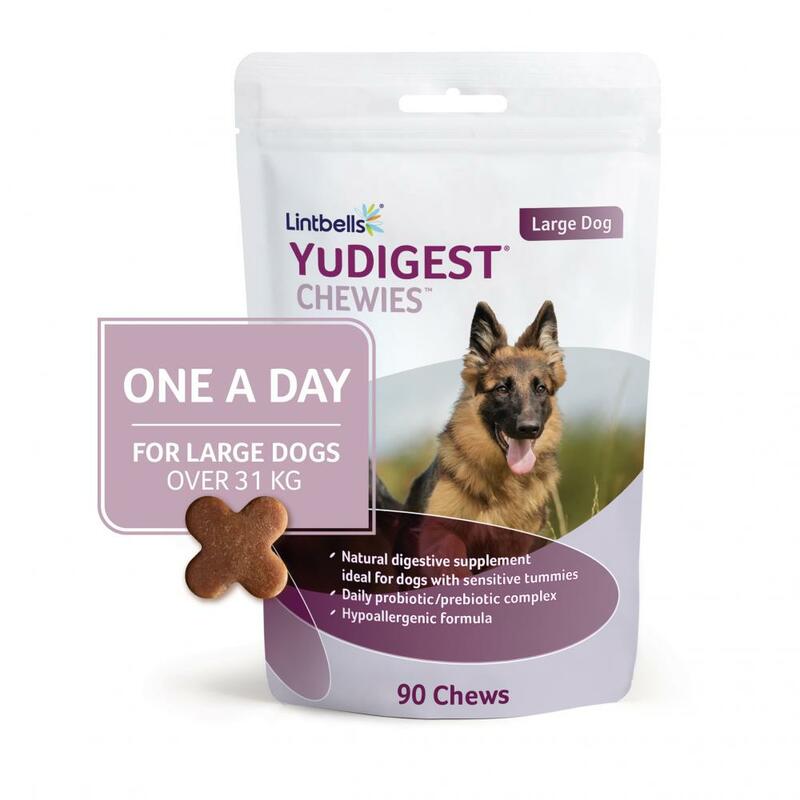 YuDIGEST Chewies use the same well-loved formula, but come in a handy, tasty bite, that makes administration easy for you and your dog. Over 800 million probiotic Enterococcus faecium bacteria per bite work daily to maintain your dog’s natural population of health-protecting gut bacteria. High purity prebiotics MOS, scFOS and Beta Glucan help to block bad bacteria, whilst feeding the good bacteria that support your dog’s digestive system. The bioactive combination of probiotic bacteria and prebiotics support a healthy gutenvironment to aid digestive health. There are currently no questions for YuDIGEST Chewies - be the first to ask one!